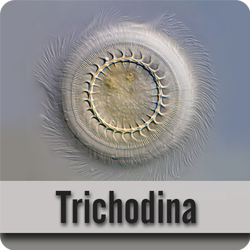 Freshwater Ichthyophthirius multifilis parasite, or Ich as it is more commonly known, is a ciliated organism that burrows under the epidermis of the host fish and becomes encysted causing small white bumps on the fish’s skin, gills and fins. If an outbreak of Ich in koi occurs the parasite will spread very effectively through the group of koi to infect all fish within the body of water. Left untreated the Ich parasite can kill many fish in a very short amount of time. As with other parasite infestations, small fish are likely to succumb to a heavy infestation of Ich quickly and the larger fish will suffer for a longer period of time. Ich can be a troublesome and persistent problem due to the fast reproductive cycle and its unique life stages. Under a microscope the Ich fish parasite looks like a tiny round blob encircled with miniscule hairs and having a horseshoe shaped nucleus in its center. It’s the highly recognizable U shaped nucleus that makes the confirmation of Ich parasite undeniable. The life cycle of Ich in koi ponds is somewhat complicated making it challenging to treat and defeat. The parasite burrows under the top layer of skin to infect a fish. Once under the epidermis the parasite feeds and becomes encysted in order to mature. Small white nodules become apparent on the body, fins and gills. The nodules or spots are up to 1 mm in size and look like a grain of salt. Each white spot is an encysted parasite that is happily feeding on your koi and wreaking havoc on its skin and gills. 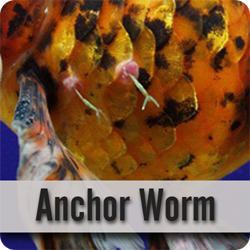 The parasite matures in several days depending on water temperature and then falls off the host fish. It will fall to the bottom of the pond and enter an encapsulated dividing stage. Now it will divide up to 10 times by binary fission. (Binary fission means that an organism divides in order to reproduce and each of the divided parts will regenerate itself to become a complete cell.) 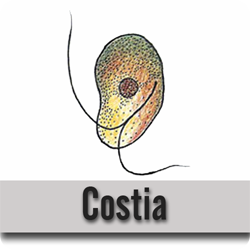 The tiny new infant parasites will break out of the cyst as a free-swimming parasite. Each one is hunting for a host fish; they must find one and begin feeding within 24 hours or they will die. Once attached the parasites will burrow under the epidermis, become encysted, mature and continue the parasitic cycle. This life cycle is highly dependent on water temperature, and the entire life cycle takes from approximately 7 days at 25 °C (77 °F) to 8 weeks at 6 °C (43 °F). What are the symptoms of Ich parasite in koi? Ich parasite or Whitespot is very damaging to the gills and skin of the host koi. 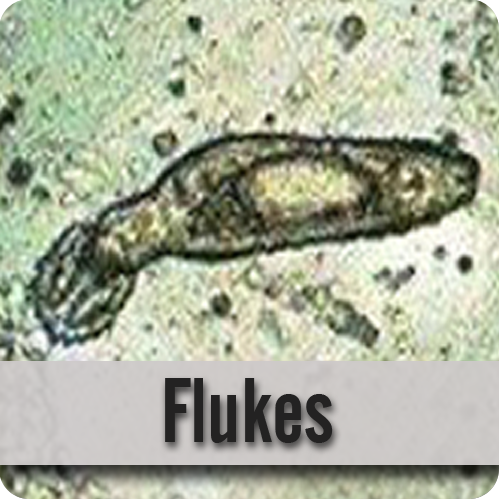 In heavily infected fish it can cause considerable distress, a rapid decline of health, and eventually death. 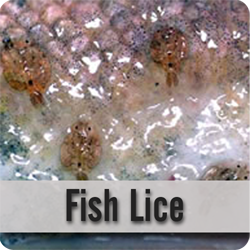 Infected fish have small white spots on the skin and gills and produce excess mucus, due to irritation. Ich causes most damage when penetrating and leaving the tissues of the fish. 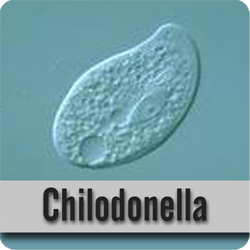 This can lead to the loss of skin and ulcers from bacterial infections invading the wounds made by the parasites. In addition, damaged gill tissue will inhibit the respiratory efficiency by making it extremely difficult for the fish to draw oxygen from the water.